Dark chocolate. Cheesecake. Dark chocolate. Cream cheese icing. More dark chocolate. 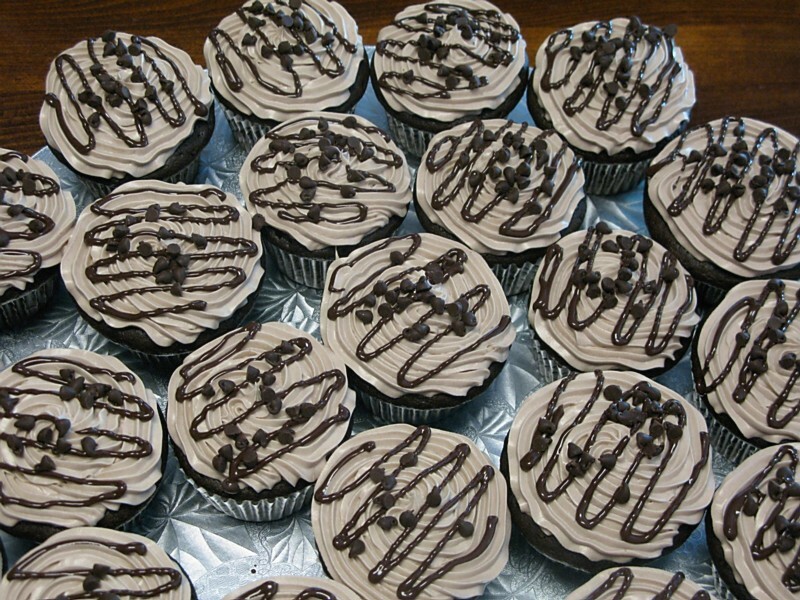 Did I mention these cupcakes have chocolate in them? Oh, sorry! They have chocolate. Lots and lots of chocolate. 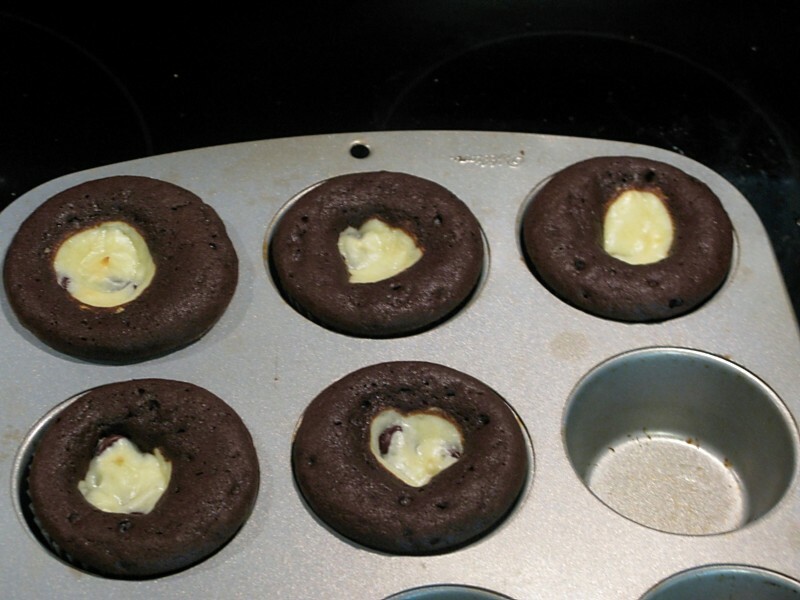 These cupcakes took a little bit longer to bake, since the mixture adds to the amount in the liners. These took 26 minutes in my oven at 350 degrees. 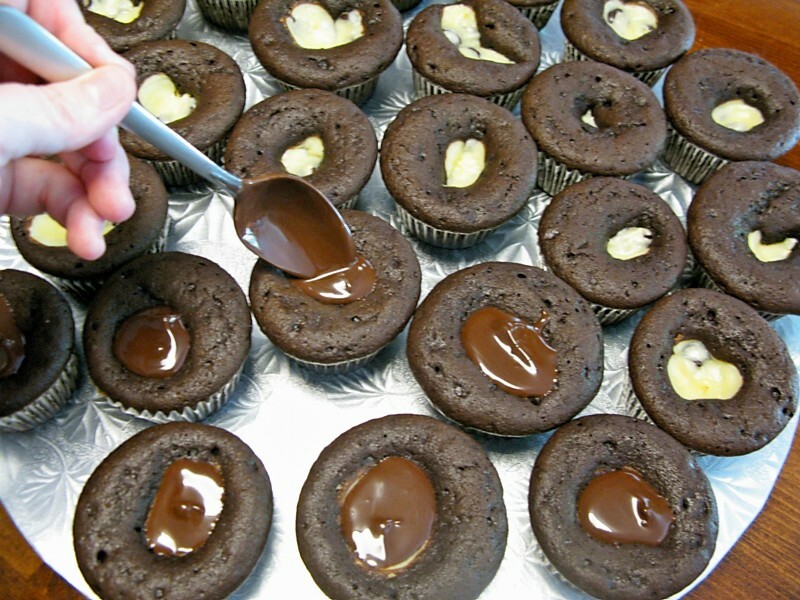 I wasn’t sure how much I liked having those big craters in the center of the cupcakes, so I decided to fill them in. This could be one of those, “No, she didn’t!” circumstances. Yes. Yes, I sure did. Since there’s not already enough chocolate in these bad boys, I thought it would be a wonderful idea to add some more. 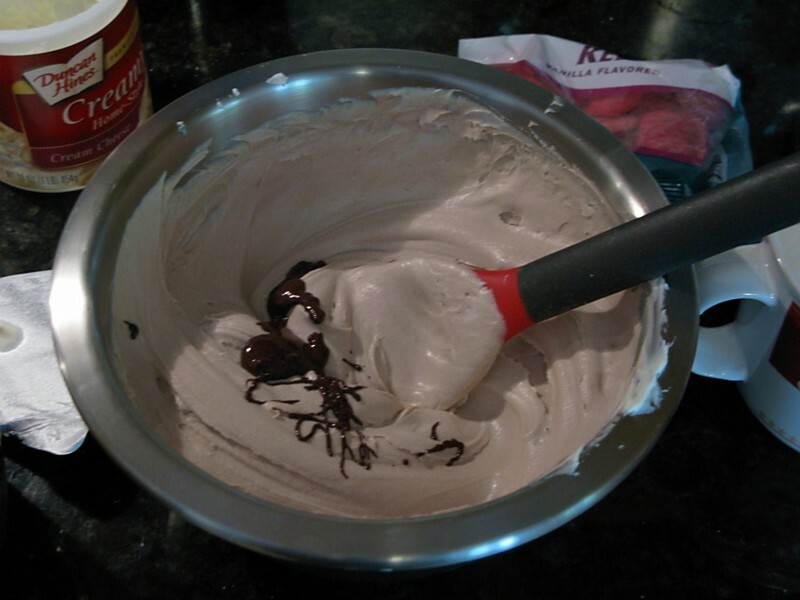 So, here’s some added dark chocolate to the cream cheese icing. 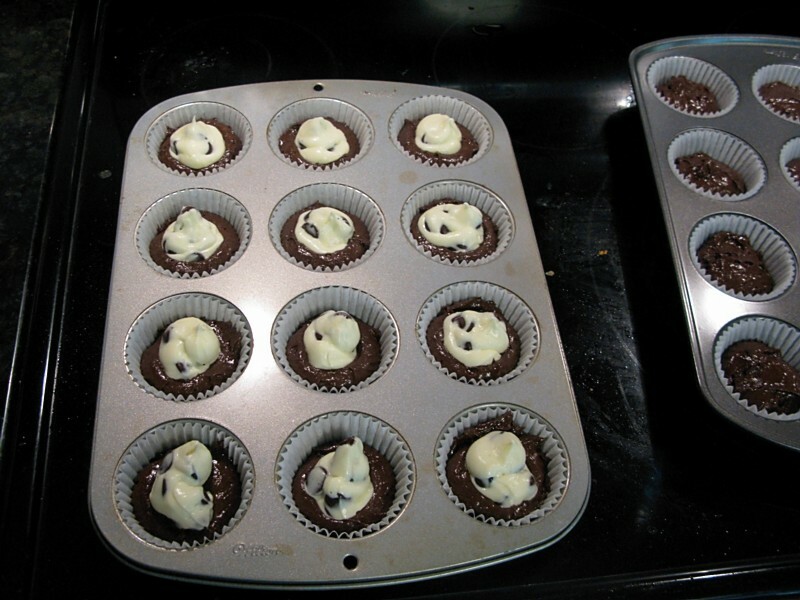 Here they are, after the icing has been piped on top. As if that wasn’t already an overload of chocolate, I put the leftover melted chocolate in a squeeze bottle and drizzled it on top, along with sprinkling a few mini chocolate chips. The inside. Ho. Lee. Cow. 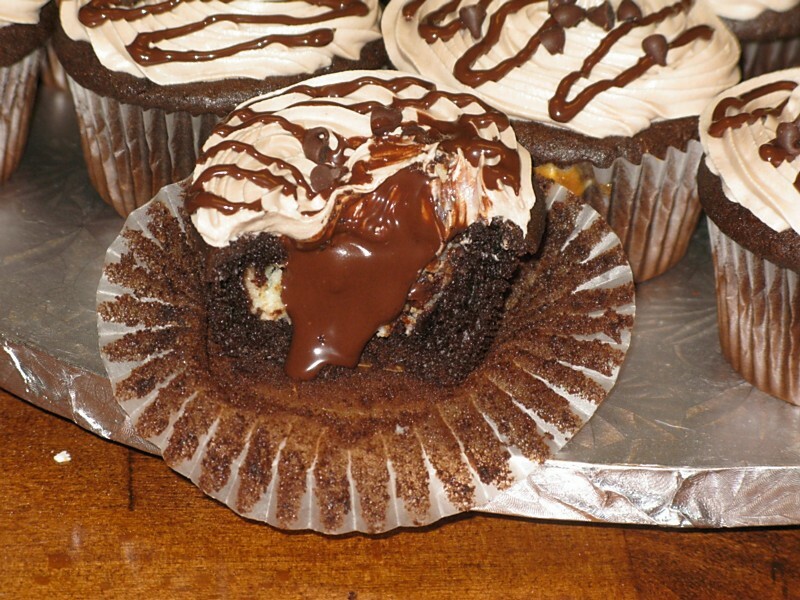 When I bit into the cupcake and the chocolate started drizzling down over the cream cheese mixture, my knees buckled…literally. May have been a little dramatic…but may not have been! If so, Grammy Award for best actress, please. Thank you. These cupcakes would definitely receive all of the credit in my awards speech.